On Thursday the 15th of June 2011, Be Kind Belize was proud to celebrate the graduation of 24 children from Mr. Zetina’s Standard 2 at Holy Cross Anglican School. 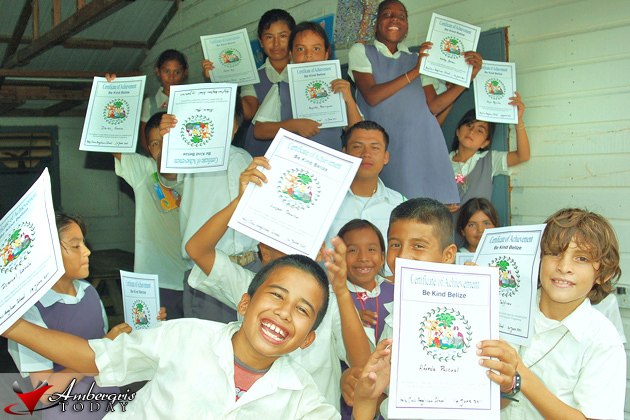 All of the students had successfully completed the Be Kind Belize programme. Four students won additional accolades for being voted as the kindest kids in their class or by demonstrating generosity of spirit with their participation in the programme. Those children are Alhusaan Martin and Jennifer Neal. 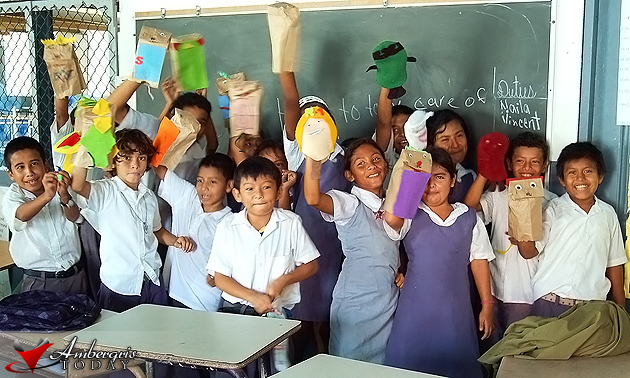 Be Kind Belize was started in 2007 to offer humane education to primary schools in San Pedro and it is now being taught in the Cayo district as well. Humane education teaches children the meaning of kindness and empathy, gives them an understanding of responsibility and consequences and helps them to develop reverence and respect for all living things and the planet that we live on. All of the Be Kind Belize, Kind Kid Winners received a fantastic selection of prizes, which were donated or sponsored. Many businesses and individuals deserve a huge thank you for supporting the programme and putting smiles on the faces of some very wonderful young people. The most exciting prize of all this year was full scholarships to San Pedro Summer Camp with a value of $600. San Pedro Summer Camp gives children the opportunity to participate in a wide variety of activities throughout the month of July. Be Kind Belize will be running a camp programme in association with San Pedro Summer Camp so there will be more fun with kindness this summer. In particular, Be Kind Belize would like to thank Tammy Peterson from San Pedro Summer Camp, Marty Casado & AmbergrisCaye.com and Paradise Theatre. There were a number of other donors who contributed greatly to the prize packs that the children received and Be Kind Belize could not provide such wonderful motivators and rewards without their ongoing support. Be Kind Belize is very grateful. If you would like to volunteer as a Be Kind Belize Humane Educator or if you would like to sponsor the programme in some way, please contact Colette Kase on 226 4366 or write to [email protected].